Who would have ever thought that a love of caring and watching for eagles and the disappearance of the expensive and much sought after Ermengarde Choker would turn out to be such a suspenseful, twisty mystery? Well, that’s exactly what you get in “The Choker” by Lee Carl. As Charley and Claudia Sylvester watched the computer cam of the bald eagles feeding their young, they gazed in amazement as the male bald eagle tore apart a fish, only to be stunned that the eagle was pulling out a red, white and green sparkling item. Claudia realizes that she has seen that specific necklace before on her somewhat strange cousin Ruth. What Claudia remembers most is her cousin said it should be kept a secret as all hell would break loose if anyone knew she had it. Jimmy the Birdman, a retired ornithologist, is watching the same cam as his phone rings off the hook. It was he who set up the cam so everyone could watch the baby eagles until they flew from the nest. The question is how to keep everyone from going to the nest and retrieving the expensive necklace. Efforts to contact Cousin Ruth are fruitless. Meanwhile, Senator Joseph Rimespecker is berating his secretary for putting a call through which he deems unimportant -- until the secretary states it is about the Ermengarde Choker. This is a complex story with a cast of characters that have plenty of issues to keep the story interesting. The author adds a nice detail at the end of the book in a “Where Are They Now?” update for each of his characters. Given that many readers have watched live streaming of rare animals being born, I found it quite ingenious of the author to include the video cam theme in this suspenseful story. Also, I did find the information about the bald eagles and their babies to be quite informative, and it was just enough to understand how protective bird watchers can be when it comes to the hatchlings. 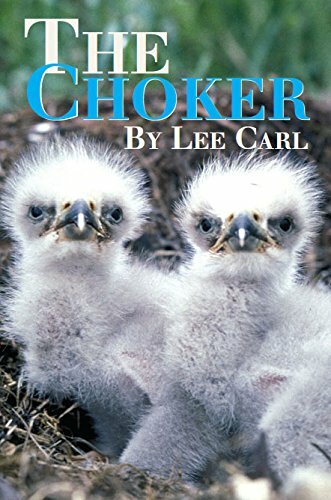 Readers will enjoy “The Choker” by Lee Carl, as he does an excellent job of keeping the storyline interesting and the variety of characters will keep one on their toes. If you like reading a suspenseful plot with numerous surprises this read is for you.